Parkinsonism Relat Disord. 2014 Jan;20(1):37-40. April 5, 2012: Valley View, OH – Great Lakes NeuroTechnologies announced today they have launched a multi-site clinical study to assess continuous monitoring of essential tremor (ET) using their Kinesia technology platform. 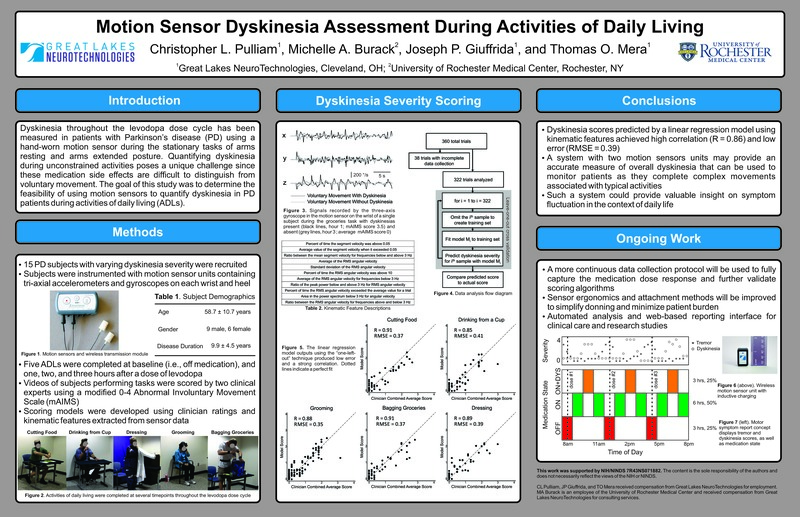 A preliminary study published in 2011 in the journal Parkinsonism and Related Disorders demonstrated that patient-worn motion sensors could detect tremor type and quantify tremor severity during both standardized tasks and non-standardized activities of daily living performed in a laboratory.